Sterling is usually an alloy of pure silver 92.5% plus another metal for the other 7.5%. The other 7.5% is usually copper but can be other metals such as argentium. We think most of the people don’t add nickel in the silver now. 3. Do your products have a certificate? Let us explain about the certificate first. To get the certificate, we’d have to bring the product we want to get the certificate to the University or the Lab one by one. 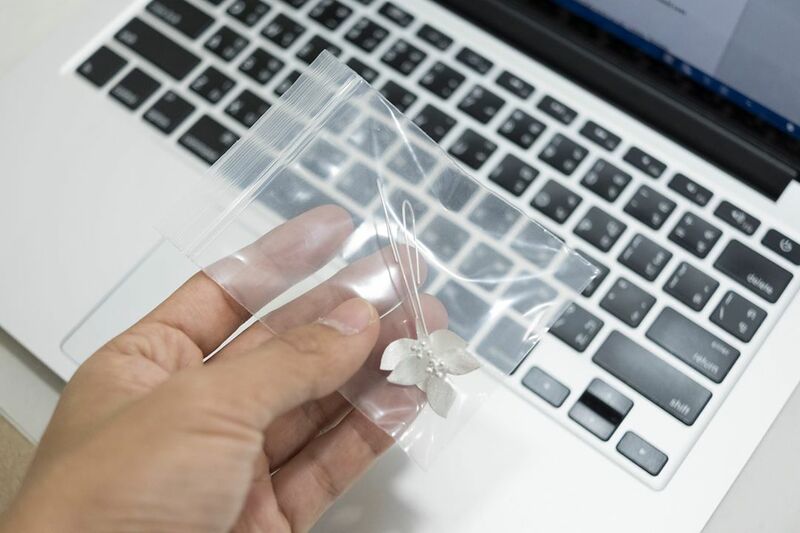 Since we have many products (about 10,000 designs and 200,000 pieces), we can’t issue the certificate of every piece of our products. That will cost a lot of money and take much time. Most of the Silver company don’t have a certificate of their products too. The certificate usually taken by the company that provide Masterpiece Platinum or Gold products with expensive diamonds. 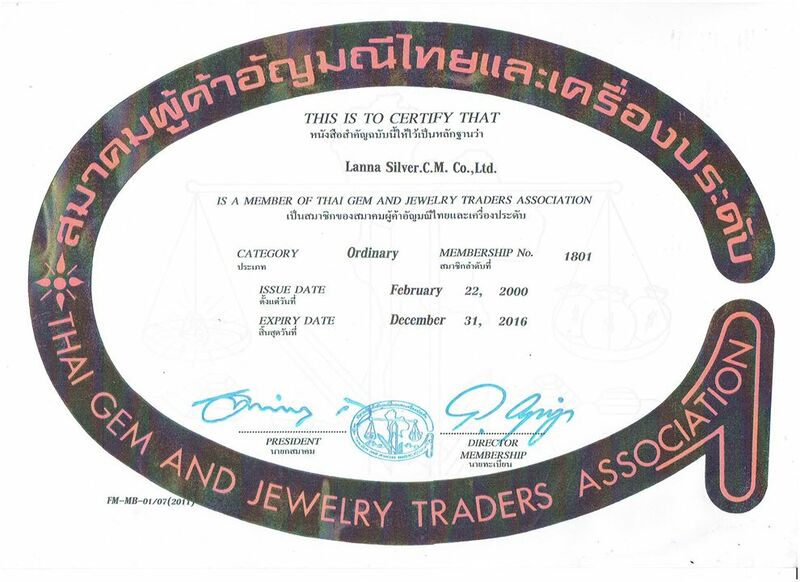 But our stores have the Certificate provided by Thai Gems and Jewelry Traders. We can absolutely reassure that our products are at least 92.5% percentage of silver or even more…. If you want the Certificate of our products? We can get it for you but it would cost about 300 THB for each certificate and take 1-2 weeks to process. 4. Will the silver change color or tarnish? Yes, of course. The silver reacts with so many materials such as air, water, human skin, even clothes. Every single piece of jewelry which are made from sterling will change the color for sure. (sometimes black sometimes yellow, depends on the environmental factors) But it does not destroy the underlying metal and can be removed relatively easily. 5. How can I keep my silver jewelry? 6. What about plated silver? If the Silver got plated. Will the color still change or tarnish? Yes of course, It just plated on the surface of the jewelry. We do the plating just for changing colors (gold plated, rose gold plated, black rhodium plated etc…) not to protect silver from tarnishing. It will help slow down the tarnishing but eventually the color will change and the plated surface will tarnish by time. However the tarnish does not harm the underlying metal. You can clean and get your silver back to its original color easily. 7. Can I resize the Silver Jewelry? Depends. Some jewelry with plain design can be resized, some jewelry with plated can be resized but have to get re-plated. Some jewelry with gemstones can be resized but have to use the laser machine to resize them.